Is it possible to plot matplotlib in R Shiny using reticulate? I'm trying to plot a chart in R shiny using python matplotlib, but I couldn't find a way to do this. I created a function in python and I call from R.
the plot is off-page, I want the plot like the another plot, like an image without save the plot as image. Anyone know how do I do this? 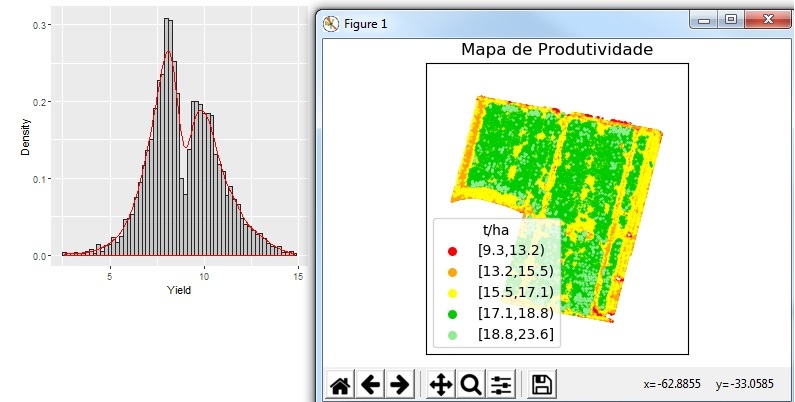 Hi @lariteixeira, my hunch is that you'll want to use renderImage()/imageOutput() instead of renderPlot()/plotOutput(). The former is capable of rendering any image that resides on disk (or as a base64 encoded string) whereas the latter is designed specifically for the R graphics device. Then have the renderImage() expression return a list that references that filename. oh, it works! But list(src = 'myplot.png') didn't work, so I changed to img(src = 'myplot.png'). Thanks so much. If your question's been answered (even if by you), would you mind choosing a solution? (See FAQ below for how). Having questions checked as resolved makes it a bit easier to navigate the site visually and see which threads still need help.